A Guelph transit bus is seen on Monday, Sept. 23, 2013. Before long, you’ll be able to get on a bus in Stratford and end up in Milverton. Or board one in Mitchell and depart it in St. Marys. The province will be putting $1.45 million over 5 years toward a pilot project experimenting with an intercommunity bus system in Perth County. County officials say the money will go toward creating a system to link Atwood, Listowel, Millbank, Milverton, Mitchell, Monkton, Sebringville, St. Marys and Stratford. Although exact routes and fares remain under discussion, the system is expected to be in operation Monday to Friday, potentially offering as many as four daily round-trips. 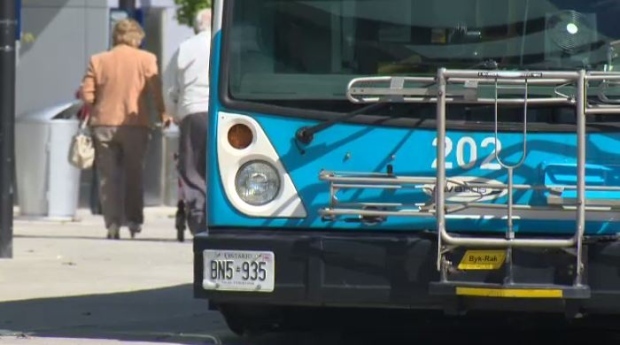 Another $1.45-million, five-year project will see the City of Stratford create a bus network to link their community with Kitchener, St. Marys and London, while also providing a direct link between Listowel and Kitchener. Perth County Warden Walter McKenzie says the two initiatives will combine to give people living in the county better access to employment, education and health care, as well as recreational and social services.